LEGO Mindstorms EV3 has built-in Wifi capabilities so you don’t need to buy an expensive WiFi sensor like you had to do with NXT. Unfortunately LEGO decided to save some pennies and don’t include an actual WiFi card inside the brick ( to save battery life of course *grin*). So if you want to connect your robot with WiFi to your computer so you can program it remotely and send it command, much like with Blueetooth but faster you have to buy a WiFi dongle for EV3. 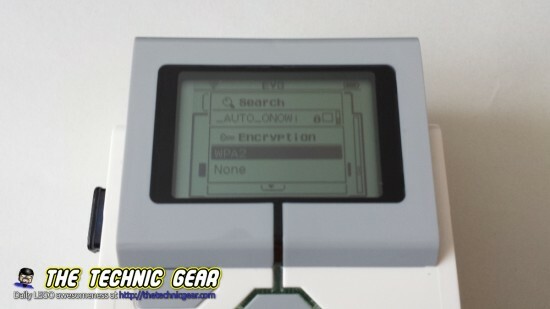 Actually Mindstorms EV3 only supports Netgear N150 Wireless Adapter (WNA1100). It is a big ugly and black WiFi dongle that will make your robot looks like a plane with just one wing. 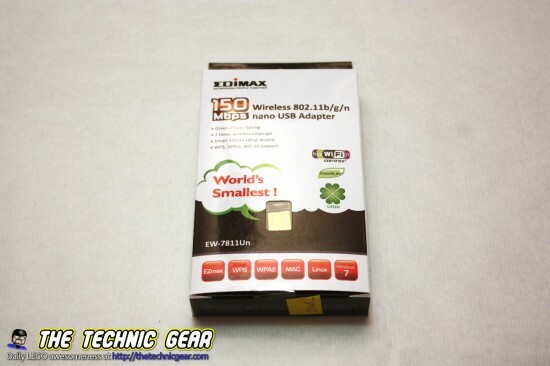 The other option is using Edimax dongle, that it is world’s smallest WiFi USB card. The problem is that it doesn’t work with LEGO Mindstorms out of the box. 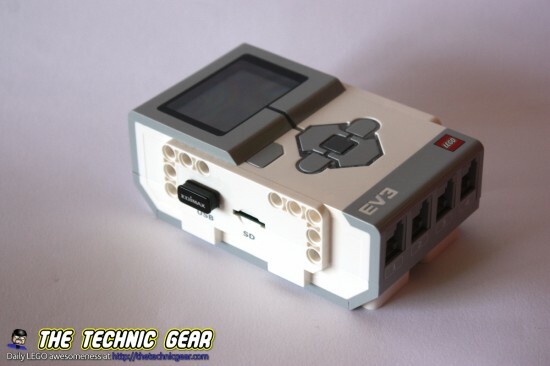 Keep reading to know how to fix it and make it work with your LEGO Mindstorms EV3 kit. So once you get the dongle, open the box and get the dongle at a handy place. We will use it later. 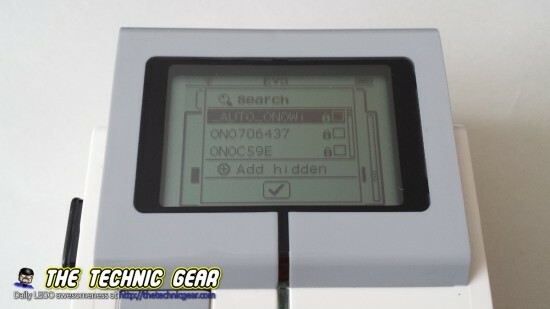 As I was telling you EV3 doesn’t work with Edimax dongle out of the box. 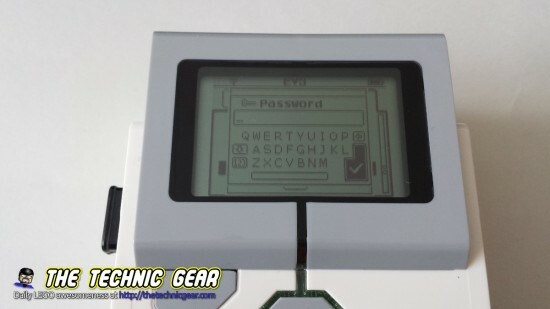 We need to update the firmware of the EV3 brick so it support the little USB dongle. By doing this we are updating EV3 with a modified Linux kernel that has support for this little dongle. Will update the firmware void my warranty? No, you won’t void any warranties doing this. Will it work with the EV3 software? Yes, it supports EV3 standard software. Can I restore LEGO original firmware if I don’t like this? 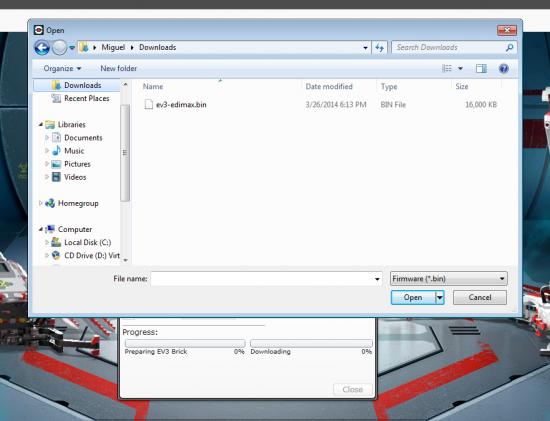 Yes, you can always restore original LEGO firmware. Can I make a brick of my brick? Can I break it? No, there are no risk of breaking your EV3 brick. 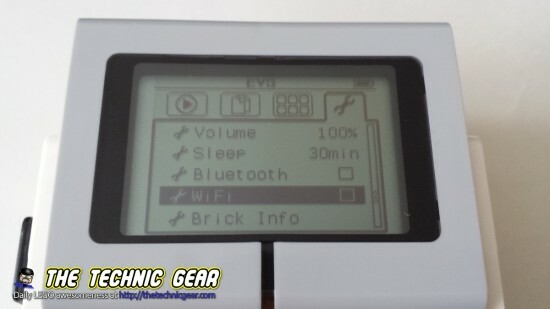 Will I lose files stored on the EV3 brick? Yes, you lost the files on the brick. Do a backup first. 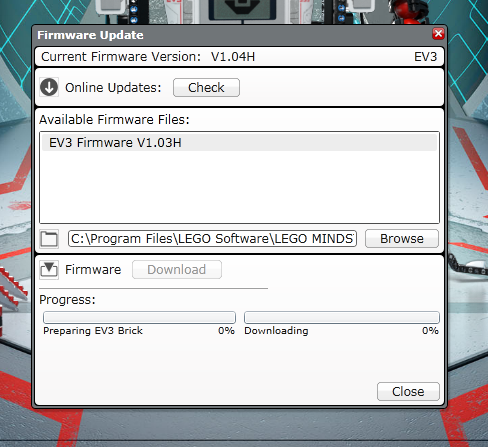 So go and download the modified EV3 Firmware from the original source ) and open EV3 Software, go to Update Firmware section and ignore newer firmware updates. Click on Browse and find your ev3-edimax.bin file, then the screen will look like this. Click on the Edimax file and click download ( make sure your brick has full battery before this! ). It will start updating the brick. Once the process is complete it will reboot the EV3. So now introduce your Edimax WiFi dongle. … and the WiFi Card will start blinking with a blue led. After a while, around 10 seconds or so a list of Wifi connections will appear. Choose your network and click on Connect. Now you can choose the security of your network, either WPA2 or None. 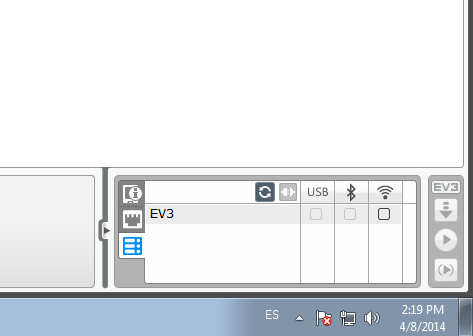 Keep in mind that using WPA2 will shorten your EV3 Battery life… but it more secure. And voila! It is connected! Just look at the Wifi Icon on the top left of the brick that has a two arrows. Finally click on the Wifi check mark and there you have. 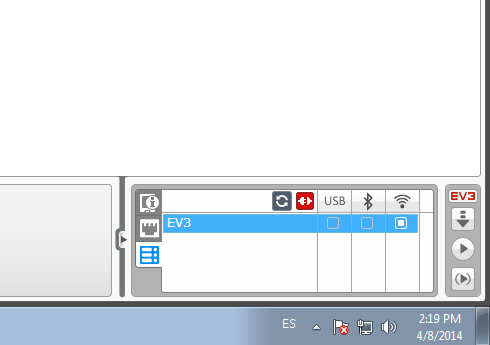 EV3 Software and the EV3 are now joined using Wi-Fi… no more USB messed cables. Hope you find this tutorial useful, but in case there is any question that I left unanswered please drop me a comment and I will try to help you. I have tried to make it work without success. After installing the linked firmware, I see firmware version 1.04H installed. ¿Is that right?¿Or should it be something different? Yes, it is right. Now plug the wifi, reset the brick and it should work. You can type mixed case passwords all right, just hop (cursor key left etc.) to the virtual key “ShiftLockToggle”, sited left of char “A” and press OK, switching to lower case or back to upper case. Has anyone seen a Educational Firmware (1.0xE) with the mod? Or can I do data logging experiments with the H anyways? Of course the original WLAN stick ist old, sold for completely sky-high price. Seen it for 11-14€ new. But ist is working. And ANY USB stick sticking out of the ONLY precious USB host plug ist one to much in harsh environments. I am desperately searching for plastic PCB foil that can be soldered to some form of USB plug male (sawn tight short at the neck, so foil has room to bend inside the plug hole, plus a strap to get it out;) and female, serving as an extension that has a plug _completely_ vanishing in the socket in the ev3. The printed circuit foil should be bendable enough to have the opportunity to do a straight 90° bend, so no design restrictions apply to any technic bars, etc., on the mechanical lego side of the robot, even allowing covering the usb hole as the case in so many good old designs. So I’m searching for a PCB manufacturer that would do a solderable version of a USB cable. Perhaps one could use PCB material for the plug as well, little bit of gold plating for luxury like on some tiny usb memory sticks. Or re-using such. Excellent! I managed to connect to my WiFi. 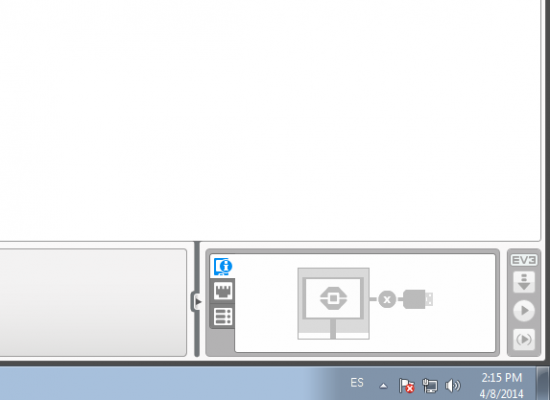 Are planning on writing a tutorial on how to interact with the EV3 and the PC? 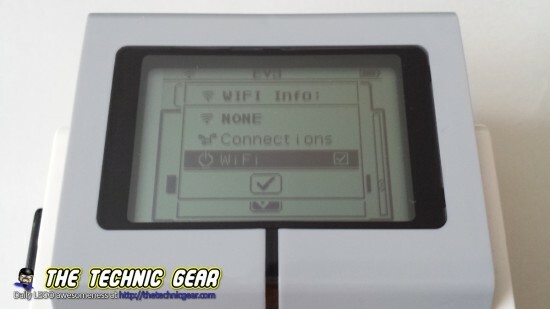 Better yet, how to connect the EV3 to the Internet and control it from a remote location? In the article, you say it will only accept letters in uppercase. That’s not really true. You can use the button right above the one to change to numbers (an arrow pointing down) to change the letters to lowercase. Ouch. I didn’t notice it. Fixing the article right now. I tried this firmware but I am having problems. I can connect my brick to my wifi network. I can see the brick in the lego software only sometimes (even after pressing refresh). When I can see it, if I click on the box to connect then the lego software gives error message that it fails to connect. I checked the brick address, and i pinged it with the command line. The response was destination unreachable. Umm… I really love Wifi networks… let’s try this: Get close to the AP and give it another try, does it fail sometimes? Turn off your brick and do a ping to the IP of the brick was assigned to… it should fail. If still fails make sure your AP is correctly configured for DHCP, it could be possible that your PC is already configured with a static IP and the AP is giving a wrong range of IP and that could be the cause of the destination unreachable. Tell me what you get. the brick will not connect to my WiFi network. I enter the password and it always says error. Any suggestions? Did you updated the firmware of the brick as explained above? Hello Cole D. My mistake was to use big letters (standard) for the password. Did you shift to small letters? Yes, I updated the firmware. I checked and it says V1.04H on the brick. I did shift to small letters. Which security setting has your router? Check it is either WPA2 or none. That may be the problem. I think you found the problem. My router has WPA and not WPA2. I am working on changing it over, but otherwise I think the case is solved. I have the same issue with the router. It has WPA security key. Is there a way to connect with out changing the router security to WPA2? No, AFAIK it has to be either Open or WPA2. WPA has several security issues that make it a poor option for network encription. No, you must have WPA 2 for it to work, it just says error with WPA. Is there a way to connect bluetooth or wifi without a dongle?? Could I use the USB port in my brick to charge my phone? I tried it with an android phone, it charged for a vew seconds and then the ev3 crashed. is there a firmware 1.6 including the driver for the EdiMax ? 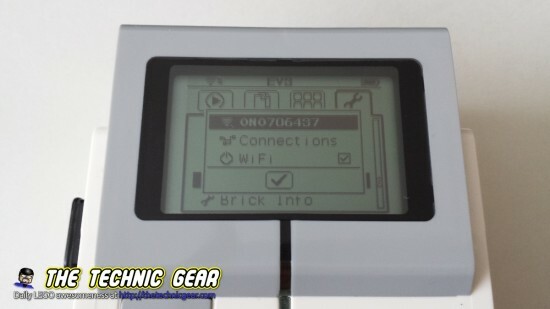 Thanks for this post, I have been able to access wifi using this firmware change, now my regular Micro USB connection from the brick is not recognized also if I upgraded the firmware with the dongle working, will it pick up an adapter or do we have to redo this all over again ? I am blocked by this issue. 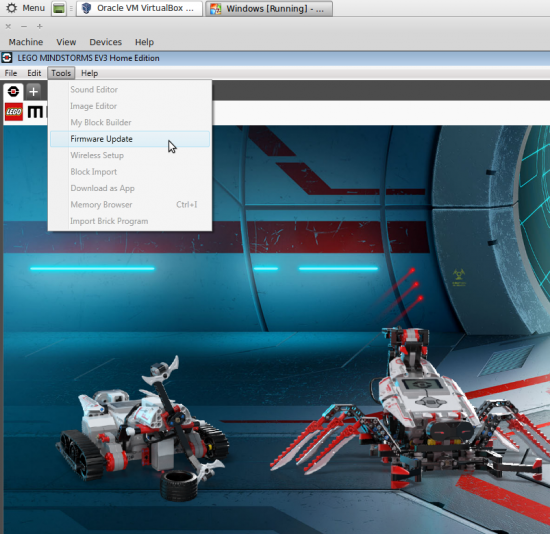 I am running LEGO Mindstorm home edition on a OSX 10.9.2. 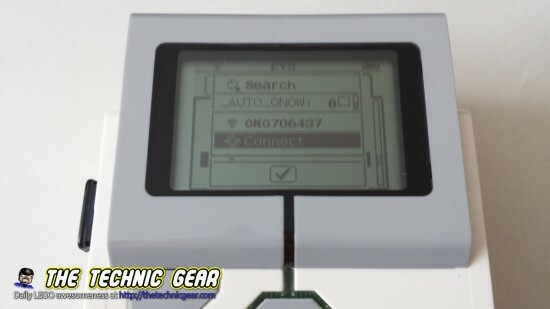 Is the Firmware 1.04 also able to connect the brick with bluetooth to an iPad? 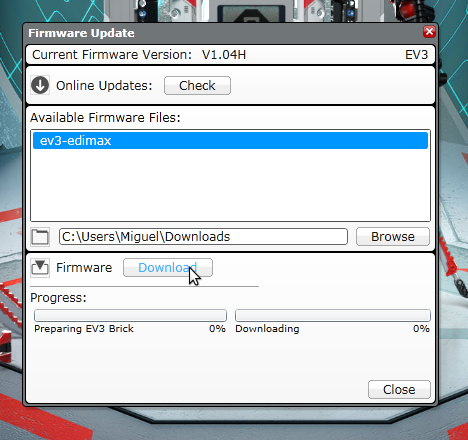 this Edimax can work on EV3 new firmware 1.06h? +1 for a modified 1.06H version. Does the router need to be configured as a GATEWAY or AP ? Thanks! Umm… not sure. As a AP should be enough. I got it to work with the router configured as a gateway. The trick was to update the Netgear usb dongle to the latest drivers (via the PC) and have both the EV3 and the PC on the same Wifi. It should download and install the latest update and then reset on it’s own. Resetting takes about 1 min or less usually. how it would be possible to connect two computers at the same time a block? 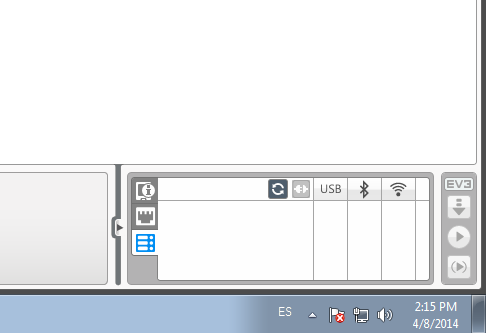 If you are using leJOS you can create as many IP connections as you want but really no clue about how to do it using Mindstorms EV3 software. or two connections simultaneously wifi and bluetooth. Thank you very much. Miguel, will there be an updated firmware? Let me check. I suppose that it is as easy as recompile the kernel for the new firmware that LEGO released. I will update here what I find. any News regarding 1.06 FW incl. edimax Driver? Hello, does it means that the current FW from Lego doesnt work with Edimax EW-7811Un? Hk thanks. are there plans to get an update edimax FW version for 1.06? Hello, i have been able to install the 1.03 edimax Version and has worked. But do i really have to enable the Wifi after shut down and up? What does happen when you click download? Does it says anything? Are you using the same firmware version? This works. One comment: you cant use USB cable with Wifi dongle inserted. Shutdown and remove Wifi dongle if you want to use USB cable. Hi – Anyone out there who have successfully tested this USB dongle for firmware1.06H ? 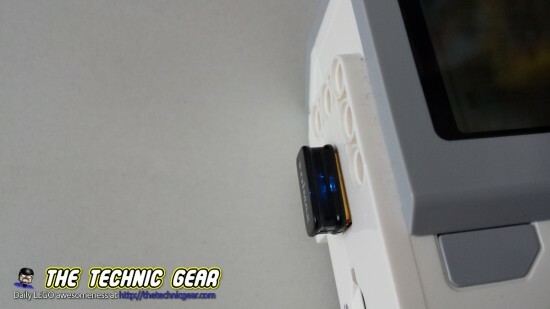 Thanks for this article, just received the adapter, installed the firmware, did the setup and from my son’s Windows 7 laptop the Mindstorms software can connect with the EV3 brick successfully. He will be stoked! On my Mac (10.9) on the same Wifi network Mindstorms software can’t see the EV3 despite repeated refreshes. I can ping from the Mac the EV3 so the IP connection is working. Any suggestions? Ummm… no idea. I have a Mac too, so perhaps I give a try and see if I can fix it. LEGO has made an update to 1.08H. This works with the EDIMAX Stick out of the box.